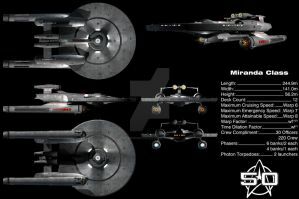 A refit version of the Ares-class ship from the fan production "Axanar". I've collected all of the progress renders I've made into a single, monsterous 3000x11250 rez image. Everything from detailing the saucer to working out the settings for the hull and interior lights. This build has taken me just over two months from start to finish. Parts of it are stolen from MY Ares-Class mesh. It´s an unacceptable act of disrespect for other peoples work !! It´s just an ugly kitbash with stolen parts from other peoples meshes. Not less not more !! I've proven to the admins on SFM that I built this model, and I've even posted this WIP images BEFORE I posted full ship render. I also sent them wireframes of my model which I'd assume they used to compare our builds. Not only that, there are other people who watched me make this model. Besides, I don't even have a copy of your mesh. Not that I'd use it anyway. From what I've learned, we don't even use the same software! I doubt I'd even be able to load your model! I have 20 years of experience doing 3D art, building models, and all of that. My gallery is full of stuff I've done for the last 14 years. Plus I can post several galleries currently hosted on imgur that shows that I document ALL of my builds. If you really think I stole your stuff, then report it to the DeviantArt admins. I'll be happy to prove it to them, too. Outstanding work!! That is a beautiful ship.. 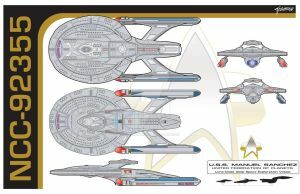 Very cool, I always wondered what a TMP refit of the Ares class looked liked and I am impressed. Thanks! Now I just need to do some proper renders, do a few scenes and all that fun stuff.